Naturally occurring climate change has been influencing human civilisation since its inception. Changing climate, partly, brought about the rise and fall of ancient civilisations, like that of the Mayans and old Egypt, according to a NASA report from 2014. It had also said that climate change-induced droughts were adept at changing the course of human society. Now scientists from the US and China have found further evidence in this regard. In a research paper published in the journal Science Advances on December 13, 2017 they suggest that variations in monsoonal rainfall over the past 5,700 years may have influenced major developments in the ancient Indian civilisations, including expansion and de-urbanisation of the Indus Valley Civilisation, the rise and fall of the Vedic Civilisation and downfall of the Tibetan Kingdom of Guge in the 17th century. The Indian Summer Monsoon (ISM) is the annual phenomenon that collects moisture from the Indian Ocean and spreads it over the Indian subcontinent in the form of rainfall. It influences climate in the region on a large scale and is crucial for the prevalent of annual weather patterns. A sizable population in the region, which is engaged in agriculture, depends on monsoon for their livelihood and survival even in the present time. The study proves that it was no different in ancient times as well. Changing character of the ISM affected atmospheric temperatures and the flow of rivers originating in the Himalayas, according to the study. Both changing temperature and the changes in river flow would have influenced the crops that were grown in the region. As these civilisations were completely dependent on agriculture, the changing cropping pattern affected their lives, hence, pushing them to look for new avenues and methods of civilisation. The scientists studied the occurrence of an oxygen isotope—a variant of oxygen with different number of neutrons—in limestone formations (stalactites and stalagmites) in Uttarakhand’s Sahiya cave. Such formations are highly sensitive to climatic change as their chemistry gets altered. The changes in their chemistry are tracked over thousands of years to know how climate changed over time. Earlier studies of a similar nature had not been able to establish with conviction a relationship between climate and societal changes. This was mainly due to the lack of high-resolution climate records corresponding to the periods when major upheavals in human society took place. But the current study provides us with an analysis of high-resolution data over the period when these ancient civilisations existed. It was already known that the Indus Valley Civilisation evolved in three distinct phases: the early phase was mostly agrarian, centered on villages; the later phase was characterised by the development of cities, and the third phase was one of de-urbanisation where several cities were abandoned. The study explains that in the first two phases, the climate was warm and wet due to a stable monsoonal pattern, which was better for growing crops. A stable climate ensured a surplus of agricultural produce during these phases, slowly leading to the evolution of cities. The downfall of the civilisation or the emergence of de-urbanisation phase, in turn, was marked by a decrease in temperature and decline in monsoon rainfall in the region. Around the same time, evidence from other research areas suggests, the flow of the Indus River also reduced which led to migration of the people further east toward the River Ganga. This conclusion is also consistent with the changing cropping pattern of the region during the same period. This migration of the Indus valley people further east meant that the Indo Aryan group of people could move in to the Indus valley and mark the beginning of the Vedic civilisation. The early phase of this civilisation had stable temperature and strong monsoon rainfall. The Vedic civilisation also shifted east during a weak monsoon period in the Indus region. The peak of the civilisation was characterised by a stable monsoon and temperature, when all the texts revered by present-day Hindus were composed. 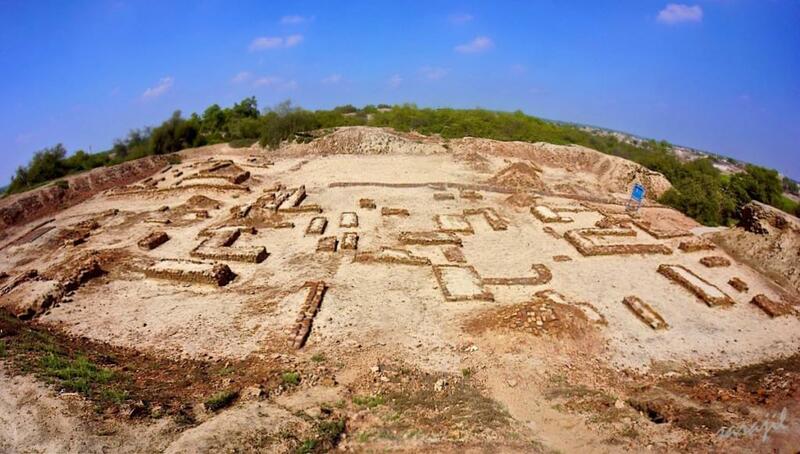 This civilisation also declined because of a weak monsoon period, according to the study. The study concludes that these changes in civilisations would have had the involvement of anthropogenic and local climatic factors as well, which is where further studies are required.